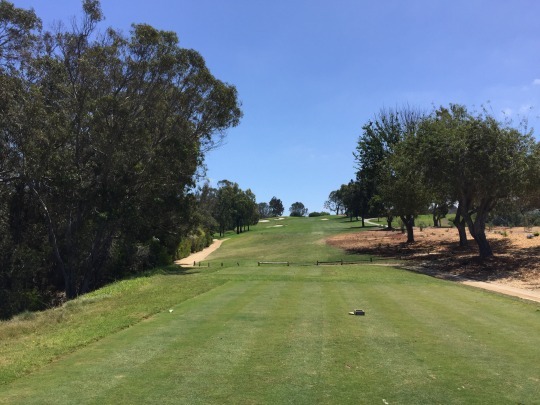 Yesterday, I made my way out to the Rancho Palos Verdes peninsula to check another great private course off my list. 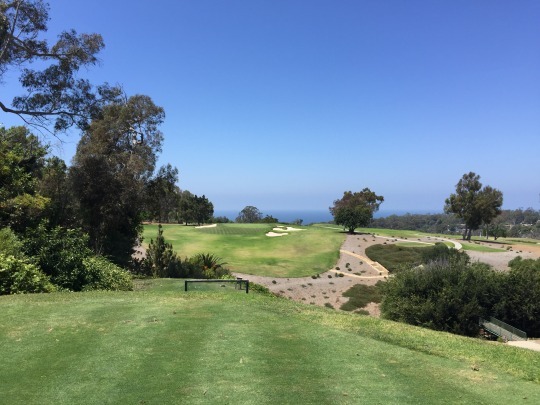 Palos Verdes Golf Club is one I’ve been looking forward to playing a long time, but it wasn’t until now that I was able to work it out. 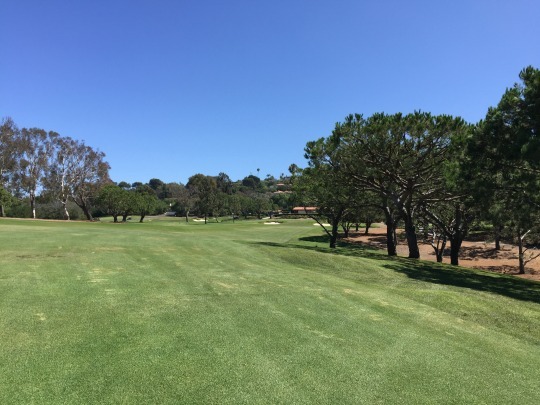 The SCGA usually does at least one outing here every year. Unfortunately, I’ve always had conflicts in the past. Also, this club does offer some limited public play opportunities. You can go out there on certain days during the week in the afternoons. However, it is really expensive and the prices do not waver at all based on day or time. 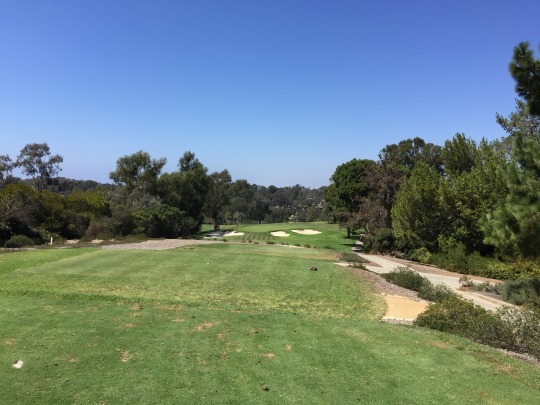 With that in mind, I figured I’d wait until an SCGA outing that I could attend. It was a 12:00 shotgun start and not a super full field. I think there were groups on each tee, but it felt pretty open. My group started on the par-3 15th hole and never caught the group ahead of us until the final few holes. The group behind us was never close, and they were probably at least two full holes behind by the time we finished. So our group enjoyed a nice relaxed pace under 4.5 hours, which is good for one of these outings. 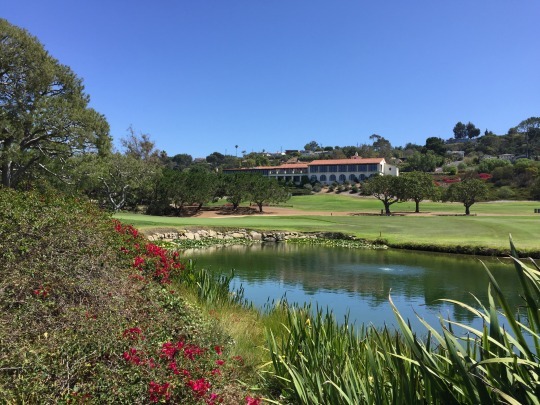 Palos Verdes Golf Club was established in 1924 and was co-designed by the team of William P. Bell and George C. Thomas, Jr. 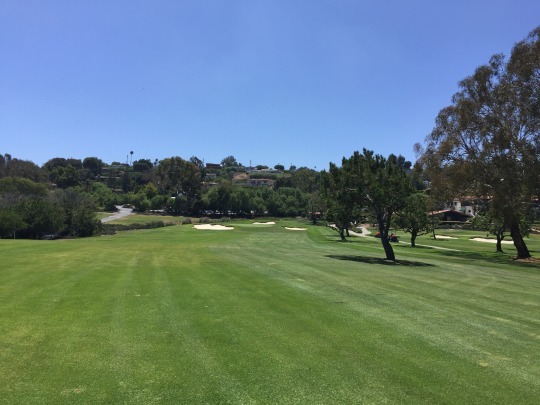 These guys are responsible for some legendary Southern California courses like Riviera, Bel-Air, Los Angeles CC (North), Red Hill and what is now Ojai Valley Inn. 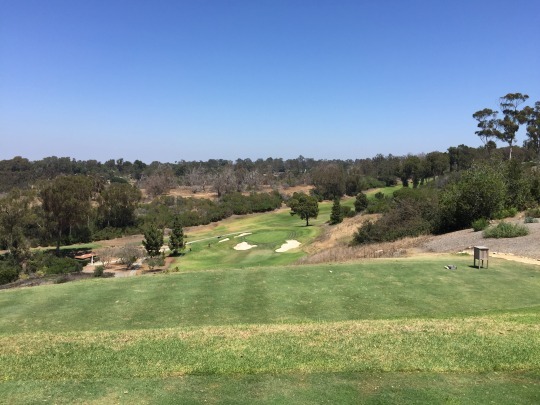 Other than Ojai, which has been altered quite a bit from its original design, you don’t get too many chances to access these great old Thomas courses that are very exclusive. Bell’s solo designs are all over SoCal! 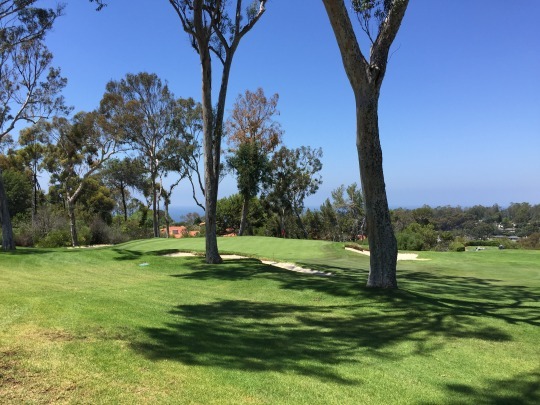 With such a rich history, excellent coastal location and design pedigree, I had a feeling I’d really like Palos Verdes. It didn’t disappoint. 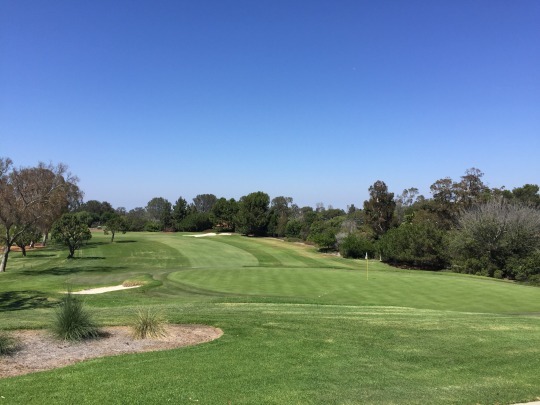 There is so much to enjoy about this club and course. 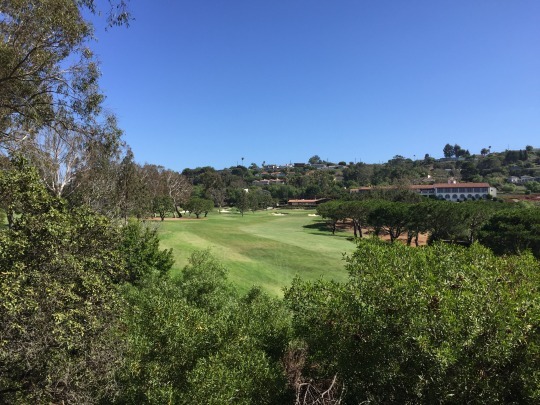 The terrain is very hilly and it would be a tough walk, but it was originally designed to be a walking course (obviously, considering it was built in the 1920s). You can really tell the cart paths were added in later. 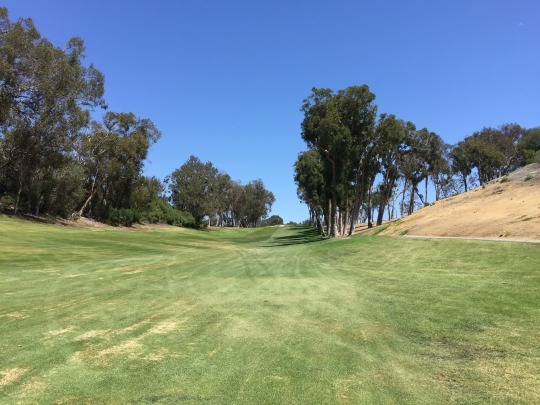 There are some quirky routing issues and awkward cart path locations relative to tees and greens. That is just a minor inconvenience and doesn’t take away from the course one bit. A majority of the greens here are severely elevated. 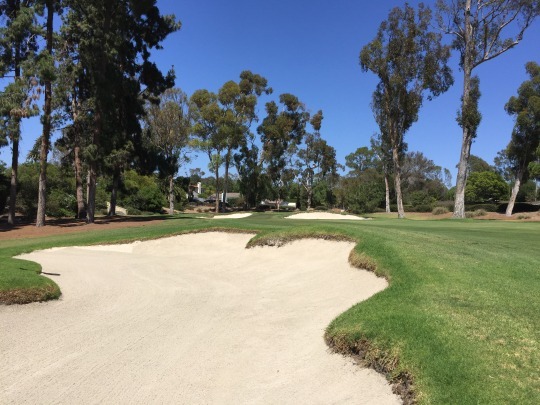 They are well-protected by false fronts and deep bunkers. The bunkering is what stood out to me the most. I really loved the dramatic look of the bunkers throughout the course. 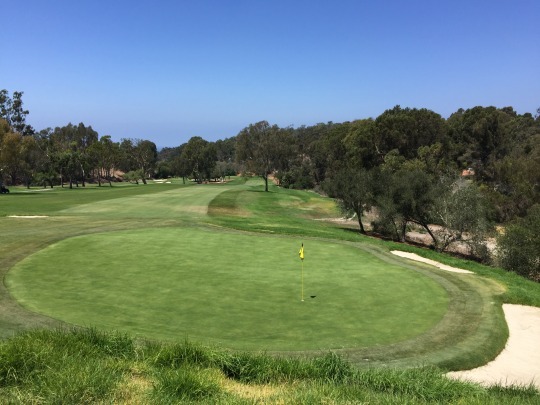 All of the par-3s play downhill and there are just a few other holes that would qualify as downhill or level from tee to green. Generally, the shots are quite uphill and very demanding. 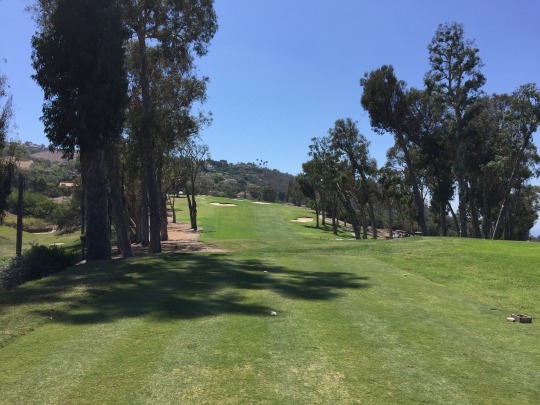 With so many uphill tee shots and approaches, the course plays longer than the scorecard. It tops out at 6,437 yards from the black tees, which is considered somewhat short these days. 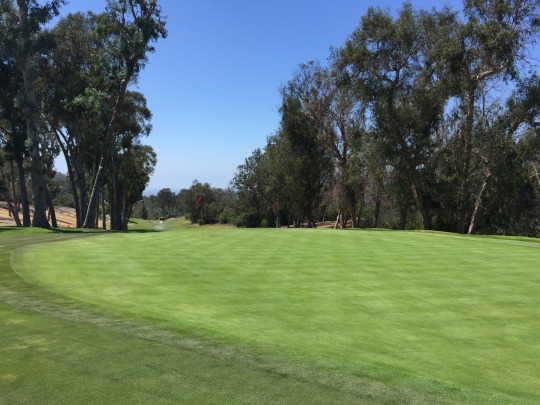 There are only three par-5s on the course, so that skews the total yardage a little, as well. 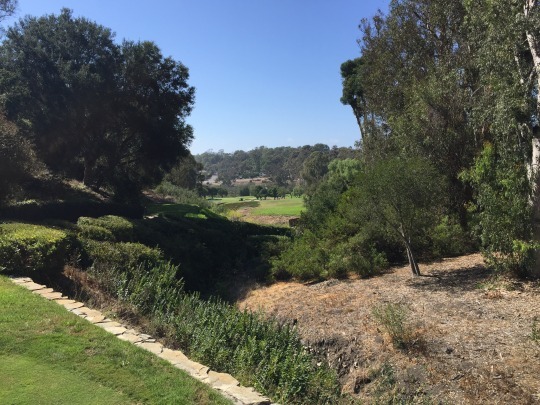 I’m not sure what they consider the signature hole here, but I did like all the par-3s. 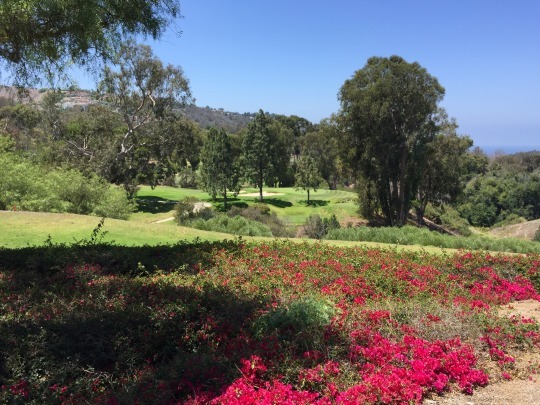 The 2nd hole offers the best scenic view on the course. 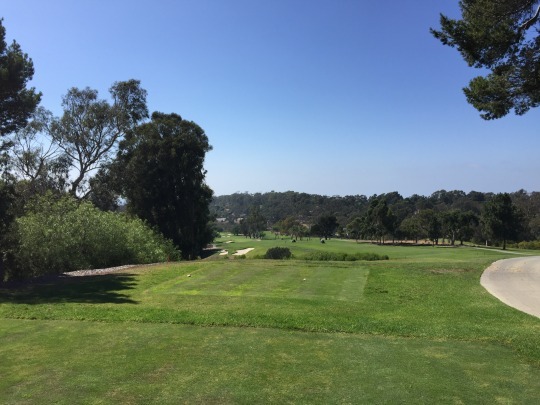 The elevated tee gives you a nice perspective of the hole with the Pacific Ocean in the background. This was actually my least favorite of the par-3s, though. It is long and kind of wide open. 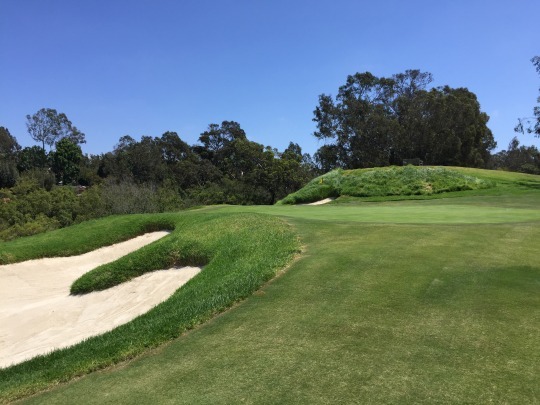 The other par-3s require more demanding shots and have more interesting bunkering. The 15th was probably my favorite of the bunch, so it was a little disappointing that we started on that hole and didn’t have time to build up to it. 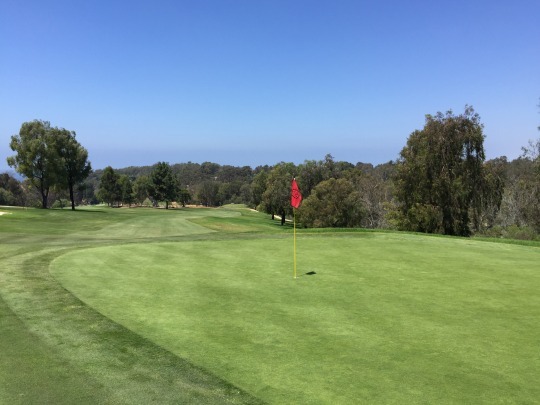 The course was in very good shape. It was not immaculate, but very good by today’s standards. The tee boxes were nice. 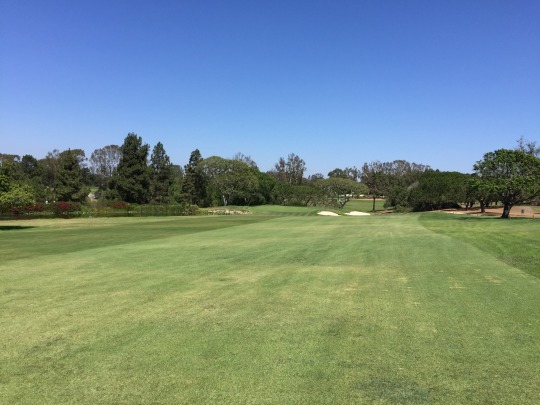 The fairways were consistently good with just a few thin spots here and there. 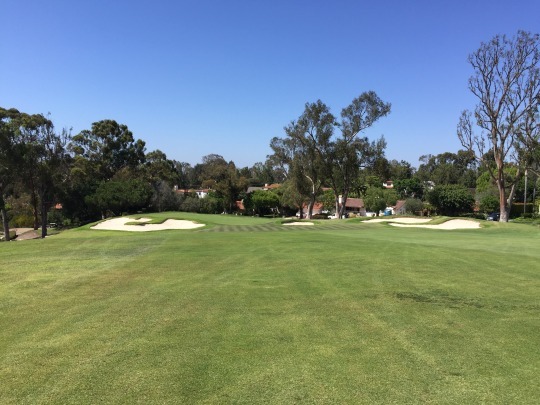 The kikuyu rough had great coverage throughout the course, with the length ranging somewhat sporadically between not-so-bad to pretty grabby to “holy crap that’s deep!” The greens were very firm, but not rolling as fast as they looked. I’d say medium speed. It looks like they maybe punched about a month ago. They were pretty much fully healed and putts were not affected in any way, but you could still see some faint spots. 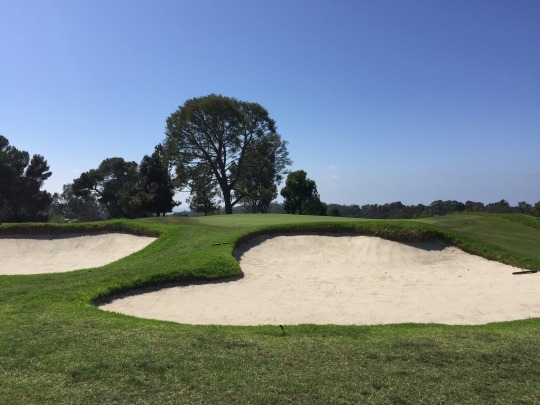 The bunkers had white beach sand that looked beautiful and was nice to play from. 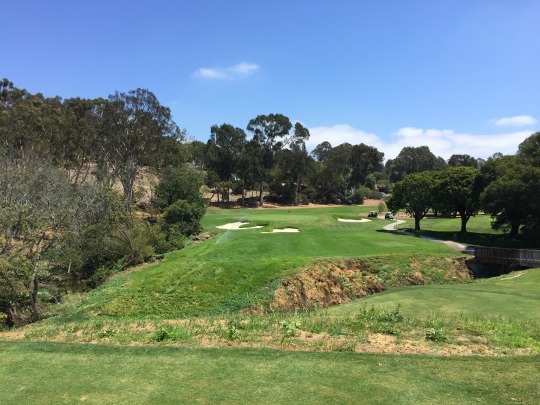 For the right price, Palos Verdes Golf Club is definitely one I’d like to revisit. 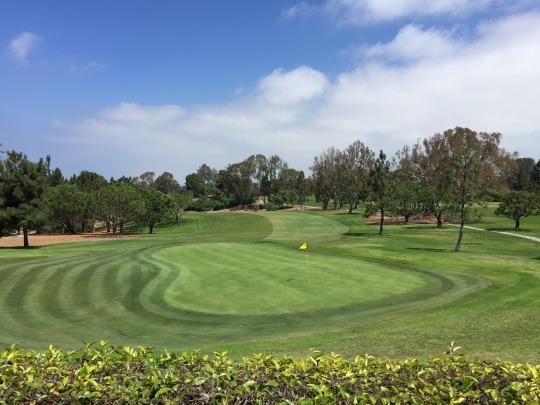 Course knowledge goes a long way here with some semi-blind shots and difficult approach shots to tricky green complexes. 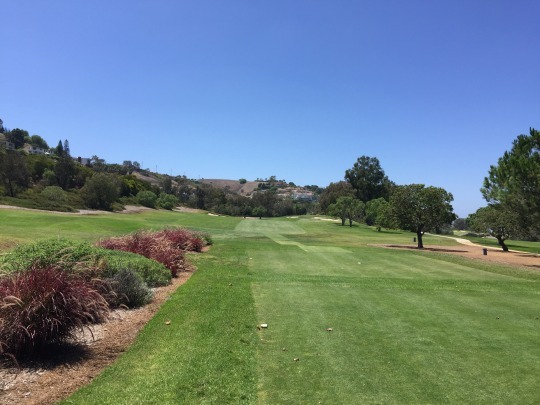 Either way, it’s a course I would highly recommend if you ever have the chance to play it. It’s a timeless design that might have a few old style quirks, yet is endearing in every way.